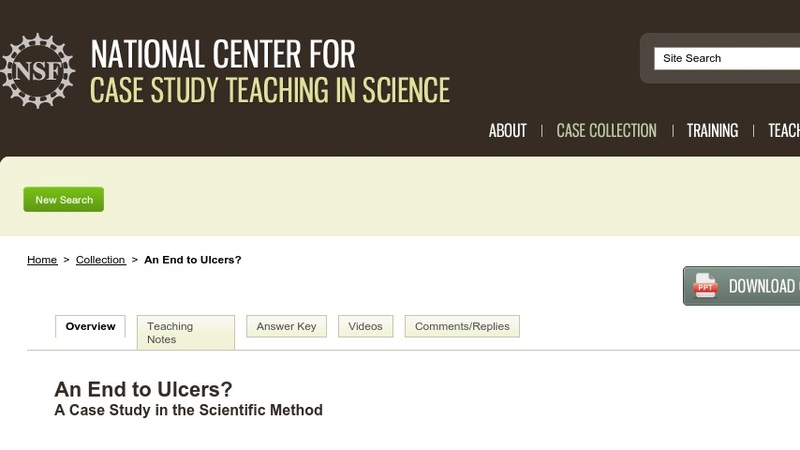 This “clicker case” teaches students about the scientific method by following the story of the discovery of the cause of human gastric ulcers by two Australian biomedical scientists. Students see how the researchers followed up an unusual observation by applying the steps of the scientific method in support of their new hypothesis for the cause of this disease. Students practice the scientific method themselves by proposing their own hypotheses, identifying methods for testing the hypotheses, and predicting the results of experimental tests. Developed for a large introductory biology course, this case could also be used in an undergraduate microbiology course for pre-nursing majors to introduce the contemporary theory that many chronic medical conditions have an infectious origin. The case consists of a PowerPoint presentation (2.5MB) shown in class that is punctuated by multiple-choice questions students answer using personal response systems (“clickers”). It could be adapted for use without these technologies.